Identifying the perfect curcumin supplement for you can be a task at times. 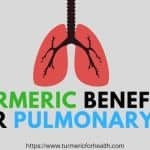 For a person who doesn’t know about curcumin’s absorption story (Read How to Improve Turmeric’s Bioavailability),it may be difficult to gauge what is a perfect curcumin supplement in the first place! 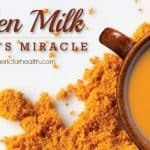 If you have read 8 Popular Curcumin Supplement Formulations, you must be aware of the various attempts research has made to increase the absorption of curcumin in the body. 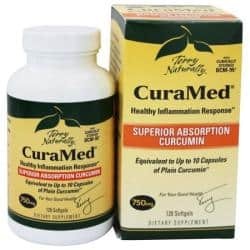 Each formulation claims to be more bioavailable than the rest, which kind of builds the confusion as to which would be the perfect curcumin supplement. 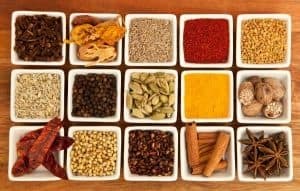 In this post we will be going over one popular curcumin supplement formulation BCM-95 or BioCurcumax 95, who developed BCM-95?, what is BCM-95 good for?, how to take BCM-95? etc and related questions. 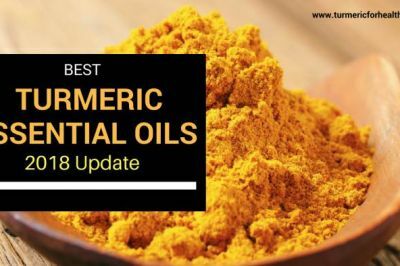 If you already know about BCM-95 and want to just check out best curcumin/turmeric supplements with BCM-95, continue reading. If you want to know more about BCM-95 first, please use the Table of Contents below to jump to the relevant section. 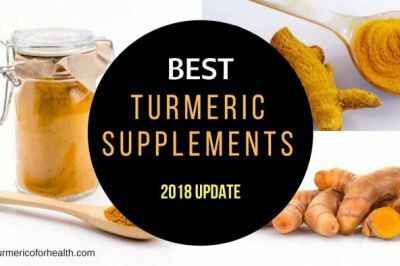 Best Curcumin Turmeric Supplements Brands with BCM-95? What does research say about the health benefits of BCM-95? Here is a list of commercial supplements that include BCM-95. Terry Naturally Curamed BCM-95 by Terry Naturally and Europharma is a good supplement that includes BCM-95 formulation in varying doses of 500 and 750mg. The supplement has been awarded 2015 Vity Award-Best Antioxidant in Vitamin and Mineral Category and the company mentions that 500mg Curamed BCM-95 is equivalent to 750 mg Curamed Softgel capsule. Disclaimer: This supplement contains phospholipids, gelatine, glycerine, sunflower oil, beeswax, lecithin. Avoid in case of allergies. As you must have guessed it, this supplement is by Life Extension, a leading authority on nutrition, health, and wellness. Life Extension has even collaborated with BCM-95 developers to assess the bioavailability of BCM-95. These include 400mg BCM-95 vegetarian capsules. Disclaimer: These supplements contain stearic acid and silica. Avoid in case of allergies. Progressive Labs is a leading company involved in developing and manufacturing nutraceuticals. Founded in 1972, Progressive Laboratories, Inc., is located at Irving, Texas. These supplements provide high dose of 800mg BCM-95 vegetarian capsules. Disclaimer: These supplements contain silicon dioxide, rice flour, and vegetable lubricant. Avoid in case of allergies. Most studies have used a dose of 500-1000mg of BCM-95 per day. The smallest dose available is 250mg. For health benefits, 500 mg per day should suffice. Always start with the lowest dose and build gradually. 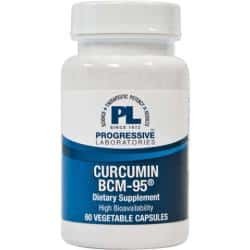 It is claimed that 500mg BCM-95 provides approximately 450mg free curcumin. It is best to consult a health practitioner about the dosage that suits your condition and body. DolCas Biotech LLC and Arjuna Natural Extracts Ltd are the companies behind the development of the patented formulation BCM-95. DolCas Biotech LLC is located in New Jersey, USA. It was founded in 2007. Its agenda is to clear the confusion in the supplement industry by identifying, researching and validating the therapeutic efficacy of natural products. Their core focus is on ‘100% natural compositions’ wherein they focus on the extraction of active ingredients without affecting their natural properties and composition. Apart from BCM-95, their other product list include BosPure (Boswellia serrata Extract) and Oxystorm (Red Spinach Extract). Arjuna Natural Extracts Ltd. is a leading manufacturer and exporter of standardized botanical extracts. It was established in 1989 and located in Kerela, India. In India, Arjuna Natural Extracts is the only manufacturer of concentrated Omega 3 fatty acids from fish oil. 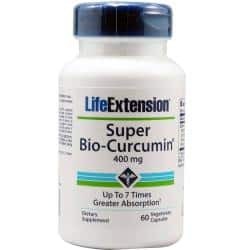 As mentioned previously, BCM-95 or BioCurcumax 95 is a 100% natural composition, unlike other curcumin supplements that have adjuvants or bioenhancers added to aid in absorption. 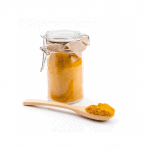 Curcuminoids are the components in turmeric that impart the yellow-orange color to the spice and turmeric oils are those that provide aroma and flavour to the spice. These components are found in a relatively low percentage in the root but are therapeutically active. 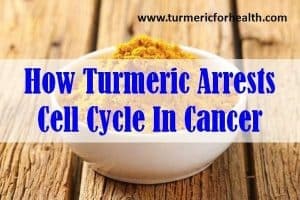 Based on this certain lab tests were conducted and it was observed that the presence of turmerones (active ingredients of turmeric oil) increases absorption and bioavailability of curcumin. 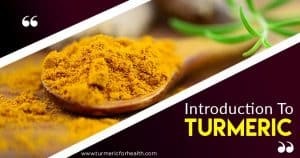 Specifically, ar-turmerone obtained from turmeric oil increases the bioavailability of curcumin due to its lipophilic (dissolves in fat) nature. Based on this BCM-95 formulation was prepared as a blend of curcuminoids and turmeric oil. ‘95’ in BCM-95 stands for the patented composition of curcumin essential oil complex: 86% curcuminoids and 7-9% essential oils. BCM-95 is free from non-turmeric components like piperine and lecithin which are used in to enhance its absorption. As mentioned on the company website it is free from heavy metal, plasticizers, pesticide, toxic content, synthetic enhancers, polyvinylpyrrolidone. BCM-95 is bound to be more bioavailable than plain curcumin since the turmeric essential oils aid in absorption and hence subsequently results in enhanced bioavailability. Dr. Merina Benny and Dr. Benny Antony conducted a study to assess the bioavailability of BioCurcumax-95 or BCM-95 for Arjuna Natural Extracts. 15 individuals were recruited for the study. Group 1 was given 4g standard curcumin while group 2 was given 4g BCM-95. Each group received eight 500mg capsules corresponding to 450mg curcuminoids and 450mg BCM-95 respectively. It was observed that BCM-95’s bioavailability was 5-7 times higher than that of standard curcumin. Curcumin was retained only for 4-5 hours in blood while BCM-95 lasted for more than 8 hours. Arjuna Natural Extracts and Life Extension Foundation published a study in 2008 A Pilot Cross-Over Study to Evaluate Human Oral Bioavailability of BCM-95? CG (BiocurcumaxTM), A Novel Bioenhanced Preparation of Curcumin. 11 individuals were recruited for the study and assigned to 3 groups. Group 1 received 2g of BCM-95, Group 2 received standard curcumin and Group 3 received cucumin-lecthin-piperine combination in equal quantities. Blood tests were done at regular intervals within 8 hours. After 2 weeks of washout period, group 1 was given standard curcumin and other 2 groups were given BCM-95. 2g of BCM-95 was well tolerated with no adverse effects. The concentration of BCM-95 peaked within 1 hour, dropped in the second hour and reached a maximum at 4.5 hours. Even at 8 hours, residual curcumin was detected in blood. This indicated faster absorption of BCM-95 as well as reduced metabolism in comparison to standard curcumin. BCM-95 showed a half-life of 4.96 hours while standard curcumin has a half-life of 2.6 hours. It was observed that BCM-95 was 6.93 times more bioavailable than curcumin and 6.37 times more bioavailable than curcumin-lecthin-piperine combination. This study was conducted by Theravalues Corporation in collaboration with scientists from Kyoto University and Shizuoka University. As per this study, Theracurmin was 10.7 times more bioavailable than BCM-95 and 5.6 times more bioavailable than Meriva. But it is important to note that the comparison was between 6 capsules for Theracurmin, 1 capsule of BCM-95 and 2 capsules of Meriva. Since the comparison is not with equal amounts of curcumin, it is difficult to comment on whether Theracurmin is more bioavailable than BCM-95. 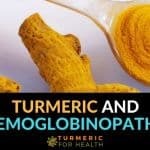 It is 5-7 times more bioavailable than standard curcumin. It is 6.37 times more bioavailable than curcumin-lecthin-piperine combination. It has a half life of 4.96 hours; standard curcumin has a half life of 2.6 hours. 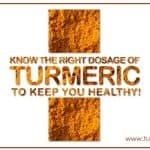 It is retained in the blood for 8 hours or more; standard curcumin lasts for 4-5 hours only. A study published in Phytotherapy Research,2012 investigated the effect of curcumin in rheumatoid arthritis in comparison to conventional medication. Group 1 received 500mg BCM-95 curcumin, Group 2 received 500mg BCM-95 and 50mg diclofenac sodium while Group 3 received 50mg dicloenac sodium. The study lasted for 8 weeks. Significant reduction in disease activity, joint tenderness and swelling were observed in all groups. Interestingly curcumin group showed a significant reduction in these parameters and this improvement was significantly better than what was observed in diclofenac sodium group. Curcumin was well tolerated and no adverse events were observed. A study published in Molecular Medicine Reports, 2013 investigated the effect of turmeric and Boswellia serrata in osteoarthritis. This product contained BCM-95 curcumin and boswellia serrata extracts. Patients were given 500mg of the product twice a day or 100mg celecoxib (anti-arthritic drug) twice a day. The study lasted for 12 weeks. In the group receiving curcumin, 85.71% suffered from moderate to severe osteoarthritis; after the treatment, only 21.43% still experienced moderate to severe osteoarthritis. In the celecoxib group, 78.57% suffered from moderate to severe osteoarthritis; after the treatment, 50% of the individuals still had persistent symptoms. A significant proportion of individuals could walk better, had a reduction in joint line tenderness and experienced improvement in joint flexibility in curcumin and boswellia serrata group. A study published in the European Journal of Physical and Rehabilitation Medicine, 2016 examined the effect of CartiJoint Forte in knee osteoarthritis. CartiJoint Forte is a supplement containing glucosamine, chondroitin sulphate, and BCM-95. Individuals received 2 capsules of CartiJoint Forte each day for 8 weeks. It was observed that CartiJoint Forte, along with physical therapy, reduced pain and improved joint flexibility in osteoarthritis. SynoFit is another anti-arthritis supplement that incorporates BCM-95 and is found to be useful in osteoarthritis. BCM-95 is proven to be beneficial in arthritis by reducing pain, inflammation, swelling and improving joint flexibility. As per studies BCM-95 is found to better than conventional medications like diclofenac sodium and celecoxib in arthritis. The famous study that compares curcumin with Prozac utilises BCM-95. Sanmukhani et.al conducted a study involving 60 patients with Major Depressive Disorder. They received 1000mg curcumin or 20mg fluoxetine or combination. Reduction in depressive symptoms was similar in all the 3 groups at the end of 6 weeks. 77.8% response was seen in the combination group followed by 64.7% in fluoxetine group and 62.5% in the curcumin group. Researchers concluded that curcumin is a safe and effective treatment in major depressive disorder. Lopresti and Drummond conducted a study assessing the effect of curcumin and saffron combination in major depression. This study also utilised BCM-95. 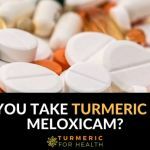 123 individuals were assigned to 4 groups: placebo, low dose curcumin (250mg twice a day), high dose curcumin (500mg twice a day) or combination of curcumin and saffron (500mg and 15mg twice a day). Active drug treatments led to a significant reduction in depressive symptoms compared to placebo. Also, higher response rate was observed in patients suffering from atypical depression. Lopresti et.al have previously proven that BCM-95 alone at 1000mg per day is effective in reducing depressive symptoms within 4-8 weeks. They have also identified various biomarkers that curcumin in BCM-95 manipulates in order to bring about anti-depressant action. A review study published in Phytotherapy Research, 2016 confirms the efficacy of curcumin reducing depressive symptoms in major depression but also highlights that BCM-95 is as good as curcumin-piperine combination in treating depression and does not have added advantage. Curcumin is found to improve the antidepressant activity of antidepressant compounds like fluoxetine and imipramine. BCM-95 at a dose of 1000mg is proven to effectively reduce depressive symptoms in Major Depressive Disorder in 6-12 weeks. Chemotherapy resistance is a common obstacle faced in cancer therapy and cause of death in colon cancer. 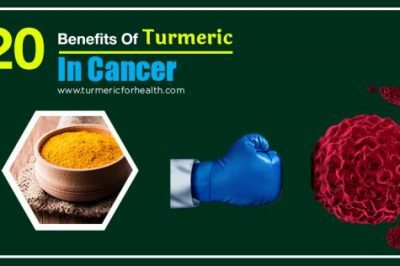 A study published in Carcinogenesis, 2015 investigated the effect of curcumin and 5-fluorouracil alone and in combination against chemoresistant cancer cell lines and animal model. 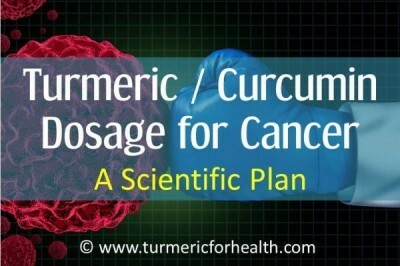 Curcumin was found to reverse chemotherapy resistance, especially in the combination group. Researchers suggested that curcumin can benefit in case of chemoresistant advanced colorectal cancer. BCM-95 in combination with boswellic acid is found to have anti-tumor and chemopreventive activity in colon cancer. BCM-95 is a part of dietary supplement ProstaCaid which has anti-cancer and anti-metastatic activity in prostate cancer. BCM-95 is also a part of BreastDefend, a dietary supplement that exerts anti-metastatic activity in breast cancer. 3g oral supplementation of BCM-95 daily for 20 weeks is found to have a radioprotective effect in patients suffering from prostate cancer and receiving radiotherapy. A decrease in radiotherapy related urinary symptoms was observed with BCM-95 treatment. BCM-95 treatment is also followed to improve antioxidant status in radiotherapy during prostate cancer. 6-month therapy with curcumin and turmeric oil is found to improve signs and symptoms of oral submucosal fibrosis. A study published in Cancer Preventive Research (Philadelphia) demonstrated that BCM-95 treatment for 6 months reduces symptoms of oral leukoplakia. BCM-95 is found to be beneficial in colon cancer. 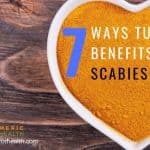 It protects precancerous conditions like oral submucosal fibrosis. Research shows that BCM-95 protects from adverse effects of radiotherapy in prostate cancer. It is a part of dietary supplements used for cancer treatment. 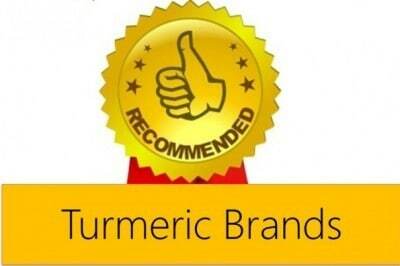 An animal study was conducted to compare the effect of BCM-95 with standard curcumin. The control group received anti-inflammatory agent-indomethacin, while the other two groups received standard curcumin and BCM-95 treatment. Reduction in swelling was observed in all groups. BCM-95’s anti-inflammatory activity was comparable to that of indomethacin, while standard curcumin showed less anti-inflammatory activity than indomethacin. Researchers concluded that BCM-95 exerted better anti-inflammatory activity than standard curcumin. BCM-95 has proven better anti-inflammatory activity than standard curcumin in animal study; this could be attributable to presence of turmeric oil components which also have anti-inflammatory property and improve absorption of curcumin. A study was conducted to study the effect of curcumin on cognition, especially in the case of cognitive decline as a result of aging. 96 aged individuals were enrolled in the study. They were given either 1500mg BCM-95 per day or placebo for 12 months. Tests were conducted to assess clinical symptoms and cognition at 6 months and 12 months. At 6 months decline in cognitive function was observed in the placebo group while no such changes were observed in the curcumin group. BCM-95 can protect cognition and prevent neurodegeneration in the aging brain. Note: We do not advocate the use of curcumin supplements for animals. These studies are just highlighted for information purposes. Combination of citrus polyphenols and BCM-95 is found to lower inflammation in obese cats. BCM-95 as a part of nutritional supplement is found to reduce inflammation post exercise in racehorses. There has been a poster presentation done on the oral bioavailability of BCM-95 in dogs 2009 ACVIM Forum/Canadian VMA Convention; details of which are not available. Unpublished studies show no adverse effects with BCM-95 treatment for 45 days in animals. Research has found BCM-95 to be safe for use in animals. A study published in Human Molecular Genetics, 2015 demonstrates that BCM-95 may be beneficial in a rare genetic disorder, Gaucher’s disease. 6-month treatment with BCM-95 in Alzheimer’s is found to improve disease signs at a molecular level but no clinical improvement was observed. BCM-95 has been studied in relation to its effect on cholesterol and lipid levels, but no significant effect has been observed. Curcumin in BCM-95 is found to have an anti-epileptic effect and improves the therapeutic activity of anti-seizure drugs. Topical application of BCM-95 is found to be beneficial in wound healing as per an animal study. Unpublished study reveals that BCM-95 protects from liver damage. There are no specific precautions outlined for BCM-95. These are precautions applicable to every curcumin supplements. Like any health/dietary supplements, BCM-95 is not regulated by FDA. Curcumin interferes in the activity of drug metabolising enzymes. Therefore it is suggested to maintain 3-4 hour gap between taking curcumin and any medication. 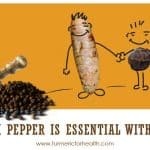 What is unique about BCM-95 is that has no non-turmeric agent that enhances absorption; it utilizes only natural turmeric oil to enhance absorption of curcumin. Also, most research studies indicate good therapeutic efficacy of BCM-95. It can be beneficial for arthritis, depression, cognition related issues, and cancer therapy. If you have tried BCM-95 for a particular health condition or for health benefits please leave your comments below. 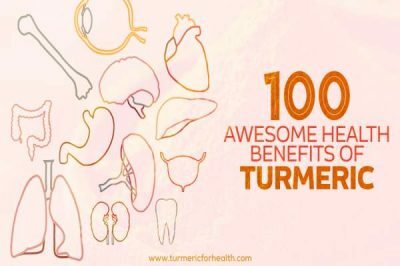 Introduction & History of Turmeric : Know Your Golden Spice! I make my own golden paste which I take myself and have been giving it to my very old dogs who have improved considerably. Is BCM 95 more beneficial than the golden paste? Hi. It depends on the conditions. 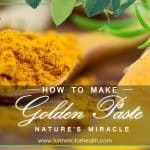 For chronic conditions, turmeric supplements may be necessary but for general health, Golden paste is great. 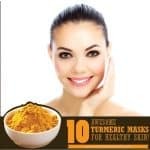 BCM-95 has volatile components of turmeric but the whole root powder(used to make the paste) is likely to be more beneficial as it has the natural composition of curcuminoids, volatile oil and minerals. 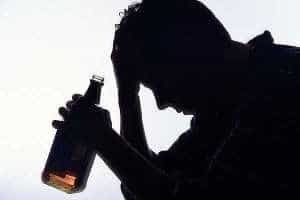 I have been using BMC 95 for six months to enhance the effects of anti depressants. I’m on 150mg of Zoloft a day and was still not coping. I was placed on this and the impacts have been phenomenal. Within 3 days I felt myself balancing out. I also have Hashimoto Thyroid disease and have noted an improvement in symptoms associated with this. The true benefits were seen when I didn’t take for two weeks and had a total emotional crash, again when I resumed taking I balanced out. I take the meta genics infla-mood and I would recommend for anyone suffering depression, anxiety disorders. It saved my life. Thank you for sharing your experience, Melissa! Wish you great health!